Starting with a tablespoon of Super Spice Grill Blend as your base, you can create this flavorful antioxidant-packed marinade for pork or lamb. Also try on steak, chicken or salmon. 1. 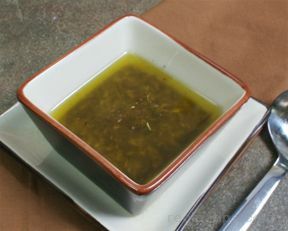 Mix Super Spice Grill Blend and remaining ingredients in small bowl until well blended. 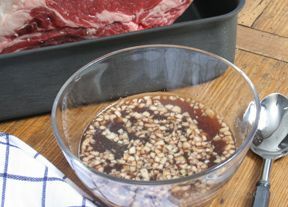 Reserve 2 tablespoons of the marinade for basting. Place 1 to 1 1/4 pounds desired meat, poultry or seafood in large resealable plastic bag or glass dish. Add remaining marinade; turn to coat well. 2. Refrigerate 1 hour or longer for extra flavor (limit seafood marinating time to 30 minutes.) Remove meat, poultry or seafood from marinade. Discard any remaining marinade. 3. Grill as directed on chart in Super Grilling Guide. Baste halfway through cook time with reserved marinade.